The rumor mill is in full swing with just over three weeks remaining until Apple unveils its next generation iPhone. We've seen a number of purported iPhone parts leak over the past few months but the most interesting of all could be the latest images of what is believed to be Apple's new Lightning cable with a reversible USB connector. 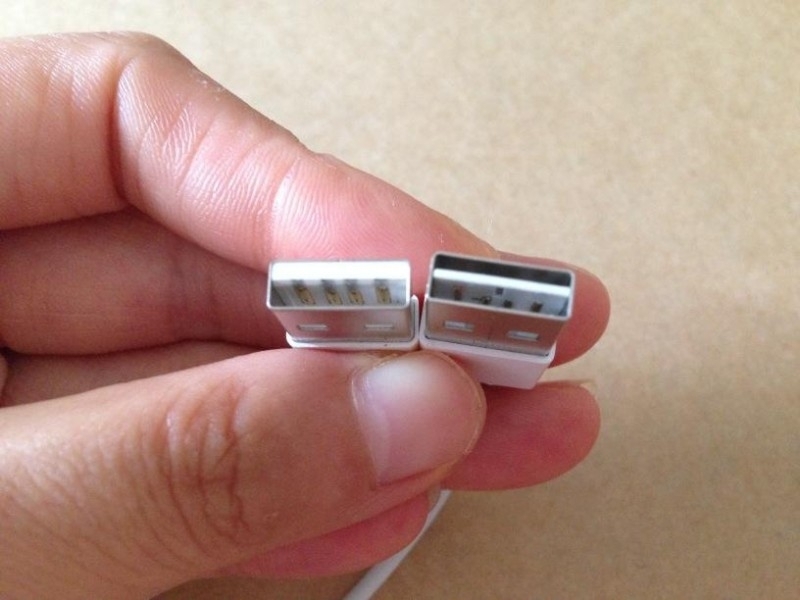 Apple's current Lightning cable is already reversible on the smaller end but the new images show a connector that is also reversible on the USB end that connects to a charger or a computer. This appears to be possible because the connector is attached to the center of the metal housing versus the current style that's attached to the top (or bottom) of the housing. As Patently Apple points out, the Cupertino-based company filed a provisional patent application for this technology back in January 2013 followed by a patent application in January 2014. The application was published just a few weeks ago although it's worth pointing out that Apple isn't the only one to come up with this idea. A company called UltraTek already owns a patent for a reversible USB connector which was issued in 2010. They've even been selling a cable with reversible connector under the name "Flipper" through distributor TrippLite. Said cables can be purchased as of writing through major outlets like Newegg and Tiger Direct for less than $10. Most expect Apple to ship this revised cable with the iPhone 6 and iOS devices that come after, granted the patent issue doesn't get in the way.